With instant coupon at Avast.com! With the 2015 versions expected to be released in mid-Ocrober, you can now get Avast’s most powerful computer protection for less than the price of Internet Security alone with our end-of-season sale: Save 40% on Premier 2014 with a year of protection. With Premier you not only get full antivirus and internet security protection but also AccessAnywhere and Data Shredder. The former lets you access your PC and all your files from anywhere in the world with an internet connection (helpful when you work on several machines). The later gives you military grade sensitive data deletion – So once it’s deleted it’s gone for good. To use this coupon just follow the above link and you’ll see the 40% discount applied to purchase (the price drops from $69.99 to $49.99 for the 12-month option). Offer ends on April 15, 2019. 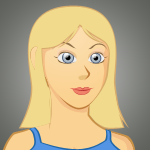 As with all antivirus and internet security software, the more you buy the lower the price becomes per license. 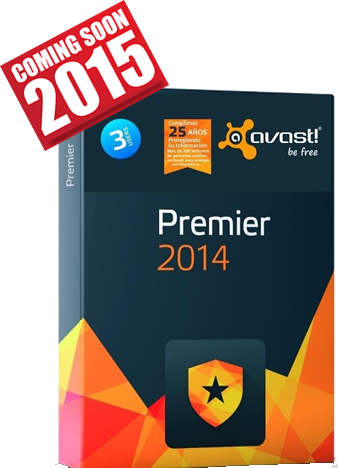 For Avast Premier, the best deal is when you follow the above instant coupon and buy three years upfront. Not only will you be able to forget about renewing your subscription a year from now, but the price drops down to just $99.99 after 50% off. That comes out to just $33.33 per year of the best PC protection in the industry. Remember, no coupon codes are needed to get this deal – All you need to do is follow the above link to active the special sale price. Discounts based on the options selected at checkout. Download the trial version at Avast.com. If you’re still not sure if Avast Premier 2014 is the best fit for your internet protection needs then take advantage of the free trial download. As long as your not an existing Avast customer or or haven’t tested out their software before then you can try any of versions completely for free. Just keep in mind of the expiration dates of the offers listed above just so you don;t miss out on a deal if you decide to get it All of Avast’s trail versions will work for 30 days. Afterwards it will automatically stop functions unless you buy a license. Is there a renewal discount available? If you are an existing customer looking to renew your subscription of Premier for another year then unfortunately we don’t have any renewal offers at this time. The only ones that we could find were on standard Antivirus and Internet Security versions ($20.00 off the standard price). But with the coupons listed on this page, the discounts are usually better than any upgrade prices anyway. We don’t know why but most antivirus companies don’t have very compelling upgrade discounts (they probably hope that you’ll upgrade at the small discount without checking all the other offers available). Unlike ordering from a reseller where their return policies can vary from a few days to none at all, if you pick up your order directly from the official Avast Store then you are automatically covered by a 30-day money back guarantee. That’s pretty good because most software companies that offer free trials usually have very limited return policies if any at all. And returns through Avast is pretty easy; simply visit the returns and refunds section of their site and complete the requested information the the support ticket.